Our co-founder David Daniels, MD, is announcing today his decision to move to Emeritus status as a Core Faculty member of Enneagram Studies in the Narrative Tradition. The term Emeritus “recognizes a person of distinction in a profession who retires or hands over the position … but does not necessarily signify that he has relinquished all the duties of the position and may continue to exercise some of them.” Please see his statement below. David is one of the pioneers of the modern worldwide Enneagram movement. Together with Helen Palmer, he launched the first organized certification program for Enneagram teachers in the Narrative Tradition in 1988. That program, the Enneagram Professional Training Program (EPTP), is now the core of the curriculum offered by Enneagram Studies in the Narrative Tradition (ESNT). 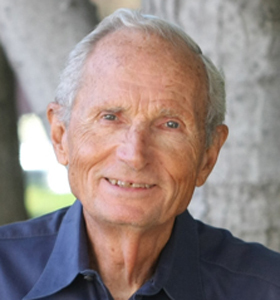 David was the co-convener of the first international conference on the Enneagram at Stanford University in 1994, which attracted more than 1,200 attendees and led to the creation of the International Enneagram Association. David has taught Enneagram workshops around the world for more than 30 years, and is the author of numerous books and articles, including the best-selling The Essential Enneagram, which included the first scientifically validated Enneagram test, now available on the ESNT website. Through it all, David has maintained an active private practice as a therapist in Menlo Park and his role as Clinical Professor of Medicine at Stanford University. I urge you to visit his website, www.drdaviddaniels.com, where you will find the full and fascinating story of his life and work. David’s importance to ESNT and the Enneagram in the Narrative Tradition cannot be overstated. He was the first member of the American psychiatric community to recognize the value of the Enneagram in helping ordinary suffering people orient themselves toward psychological and spiritual healing. From his professional vantage point, he saw the power of the Narrative – letting individuals tell their own stories to the benefit of their own and others’ personal growth. He also was the first to recognize the need for an organizational container to hold and transmit professional standards for the use of this tool. His partnership with Helen Palmer over the ensuing decades has brought the Enneagram Narrative to literally thousands of people around the globe. Those who have studied with David or know him personally appreciate his generosity, wonderful wit and humor, deep wisdom, loving presence and visionary commitment to a better world. I feel an enormous personal sense of gratitude to David. As a client of his in the late 1980s, I first learned of the Enneagram. Through his gentle guidance, I found my way to a healthier relationship with myself and others around me. He even introduced me to my wife, Terry Saracino! David’s new Emeritus title fits him well. This distinguished member of the international Enneagram community will continue teaching and guiding us at a pace that better meets his own needs at this point in his life. We are honored by our association with David, and glad that it will continue in this new, less stressful way for him. To David, our love and deepest gratitude are with you now and always. And to the Enneagram community, please stay tuned for further information about opportunities to honor David. Since co-founding the Enneagram Professional Training Program with Helen Palmer in 1988, the Enneagram in the Narrative Tradition has been a central part in my life. I love this amazing system for personal development – it is a remarkable path to wholeness and liberation. Moreover, I have great appreciation for all our staff, my fellow teachers, and the thousands of students who have studied with us and contributed so much. As many of you may know, I have not recovered all of my energy since my second open heart surgery in July 2014. So after much reflection, I am becoming Emeritus, which thankfully is different than retirement as it allows me to keep teaching and contributing to our organization and to the Enneagram material. The joy over the years has nurtured me. I am full of gratitude for all my colleagues and students. It has been a great honor to work with you. Thank you all for your contributions to the Enneagram work, and to my life and wellbeing. February 1990 in the mansion at Vallombrosa – I remember my first EPTP training with you and Helen with great fondness. Your warmth, insight, intelligence and kindness touched me deeply. Words can’t really express the impact you’ve had on my life – as a mentor, teacher, colleague, matchmaker, elder (I know you hate that word), and friend. Your ever-present optimism is inspiring. You always said, “I want to bring the Enneagram to the world,” and you have, reaching so many people in so many countries. My own teaching is so grounded in the wisdom I learned from you. As I teach, I often hear your words coming through me. My deepest gratitude for your countless contributions to the greater Enneagram community and for all you have given to me. I can honestly say that since I first met you in November 2004, my life has not been the same! We met at Peter O’Hanrahan’s house when both of you were interviewing me for a six-month marketing contract to promote Enneagram trainings in the Narrative Tradition. I was in the “final four” of 80 candidates who had sought the job. And you picked me! I can’t think of an adequate word to describe how grateful I am for your trust in me then, and for your ongoing love and support over the past 11 years. My work with Enneagram Studies in the Narrative Tradition is the most fulfilling work I’ve ever done. It has been my privilege to support you in sharing your tremendous gifts with the world. I appreciate your huge heart, deep wisdom, playful humor and generous spirit. You are very dear to me, and I hold you and Judy in my heart. Thank you for being such a bright light on the planet! I am so grateful that I had the opportunity to learn from you in Montreat and New Orleans. Your effervescent spirit, your warmth, your sense of humor, wisdom, and the way you lovingly hold those in your presence sends ripples to all those you touch. You inspire me with your acceptance, with your curiosity, and the way you lift up others. I know we haven’t seen each other in a couple years, but please know that I think of you often and fondly. I look forward to seeing you again soon! I first met you when you came to Thomas Moore College in Northern Kentucky to teach the Enneagram Intensive with Terry and Peter. Your presence at that Intensive was so compassionate, and that experience of you has stayed with me throughout the years I’ve worked with you. In my time with ESNT, I have seen your passion for the Enneagram. You have never wavered in your belief that the Enneagram will change the world and you have dedicated your life to making that happen, one person at a time. It has been an honor to be your student and your friend. I hope you know what a great gift you are to the Enneagram Narrative and to every individual you have taught or interviewed on a panel. What most of us desire in our lives is to be loved and you, in my experience, have loved all of us. You have blessed my life and countless others and I am deeply grateful for you. First and foremost, from the bottom of my heart, thank you! Thank you for your kindness, love, and support on my enneagram journey. Thank you for being open to considering the Enneagram system and taking the risk to host the first International Enneagram Conference at Stanford. Thank you for convincing Helen to start the EPTP and enneagram school. You have touched the lives of thousands of students, who in turn have touched the lives of hundreds of thousands more and in profound ways. You have truly made the world a better place. I’m honored and humbled to call you my teacher. Words are not enough but they are all I have to express just how much love I feel for you and for all you have contributed to my life. The Enneagram teacher training continues to be the most deeply rewarding experience of my life. I am very grateful to you and to Helen and Peter as well as all those involved with the developments since 1988. It is so joyful to recall so many wonderful encounters with your wisdom, warmth and teaching. I am glad you are continuing to enjoy your life and that you will go on giving us the benefit of your extraordinary gifts. With thanks and much love. Thank you so much for all you have given and the loving presence that you have held for all. I have been deeply touched by your warmth and compassion and enriched by your wisdom. While your participation will be sorely missed by future students, I’m glad you are taking more time for yourself and the lovely Judy. Your legacy will continue but I’m glad you’ll still be around to share in it! Dearest David, friend, colleague, teacher, and Enneagram angel! We have been so blessed here in Seattle to have brought you here five times over the past 12 years to share your knowledge and wisdom and kind heart with our community. Cedron and I have also had the the deep pleasure and privilege of playing music in your beautiful home and sharing love and stories with you and your beloved wife, Judy. Know that you are a treasure and that you have firmly cemented a place for yourself in our hearts. I know that your dedication and passion in bringing the Enneagram to the world has stirred numerous lives, including mine, and I wish for you a blessed time of deep healing and relaxation and enjoyment with your sweetie. May the work you and Helen have begun with such intelligence and devotion continue to bless all our lives. You are a most blessed human being and a most sacred Soul! The gift that you have given to the world is one that will continue to change lives forever. Thank you for bringing the change to mine! I will be forever grateful! You’re a treasure, David! Much love and good wishes as you move into this transition. We have been and will continue to be blessed by your presence. David I am so grateful for the EPTP offering me a scholarship and starting my journey with the Enneagram. Both you and Helen have transformed many lives, which have rippled out into the lives of those who have been touched. Your kindness and compassion in teaching has allowed many to accepting all parts of their personality and to become their Best Selves. Truly a transformational process. The Enneagram has become my passion and purpose and I thank you for your encouragement and support. So happy you will be continuing with your amazing insights. David, I am just beginning an exploration of ENST. It seems to be a mysterious and marvelous tool for unlocking the ‘box’ I find myself in. You have left an imprint on thousands of lives by sharing generously from your storehouse of wisdom. With deep gratitude and admiration . . . take gentle care! Words aren’t enough to express the gratitude I feel. Over the years, as a student of the Enneagram in the Narrative Tradition, as a teacher, and as part of the Enneagram teachers monthly meetings with you over the years, I have come to appreciate your warm heart, gentleness, wisdom and the deep knowledge of the Enneagram. It has been remarkable to be on my own journey of discovery using the Enneagram, and having you as my guide and friend. I wish you the best of health and strength and continue to hold you in my heart as one of my favorite mentors, teachers, and as a friend. I’ve been wanting to write to you for several years now, but didn’t know how to contact you directly. My experience with you is a bit different from others, as for some years I bought books on the Enneagram to be available for sale at Enneagram events which you were primarily involved in, as well as other Enneagram events. I also participated on a number of panels, some of which you were present at. I’m sure you’ll remember all of this. You were always kind, thoughtful, non-condescescending, present, and, on more than one occasion, generous and considerate. I was touched then, and remain grateful still. Kindness. thoughtfulness, mindfulness, generosity, humanity….What a wonderful gift! I’m sure that you’ve given these things to many other people, as well as to myself. I so appreciate you and the opportunities that the Enneagram, as well as other consciousness-awakening and consciousness-increasing practices, offer to the aspiring soul. Thank you so much for your open-hearted, generous part in all of this! Words cannot express what I am feeling as I reflect on you. How amazing it has been for me to experience your great love, generosity, wit, wisdom, and inspiration! I learned much more than the content of the Enneagram from you. I learned the spirit in which it must be lived for me to be a true student. You have been my role model ever since I experienced your presence at Vallombrosa in 2001. My love to you as you embrace your new Emeritus status. It is such a fitting position for you, and a treasure for us. We don’t lose you. And we will continue to savour everything more you share with us. Travel well, my dear teacher. You have been so important to me since our first session in Menlo park those many years ago. I love you with all my 5 heart. Dear David, I participated in the Enneagram Professional Training Program when you were in the Cincinnati area on June 10-16, 2005. At that point in my life I had taken many classes with Helen Palmer, Peter O’Hanrahan, Tom Condon, and Jerry Wagner. Words cannot express the gratitude I feel for having the chance to work with you. When I share the Enneagram with others I always begin by mentioning who you are. Through your love and wisdom I have been able to help so many people in my life. I was unable at that time to complete my teacher’s training with you because I was teaching first grade full time and the training sessions were during the school year, so I went to Loyola University and trained with Jerry Wagner. I have just retired and plan to finish the teacher’s training I started with you so long ago. I can’t tell you how excited I am to finally come to Menlo Park. Thank you for making the world a better place. and through the work came to understanding myself from a vantage point I had never experienced myself from……it opened me to a depth that I am so very grateful for. You are such a dear friend, mentor, and teacher, someone I always respected and learned from…..which is why I continue to give back in the ways I have to help with the trainings at Valombrosa and with past conferences…. to show my appreciation for all of you and the hard work you all continue to do to keep this work alive and well. Thank you! My love to you and Judy always….. I want to add my voice to the depth of gratitude that goes out to you at this time, David. While I am still new to the Enneagram community, I recall with great fondness the care and support that you gave to each and every participant in our days together at Montreat 2014. The gentle power of your presence invites the heart to open and offers a safety to explore the Enneagram in a way that is transformational. To have crossed paths with you and be touched by your healing insights and reassuring support has been a great gift in my life. You have and will continue to hold a central place in the large hub of this worldwide network. Words cannot even begin to express how much I respect you and your work. You are truly one of the most remarkable men I have ever met. You are a true pioneer, a man with vision and a man with a heart of gold. I am forever grateful to you for your many acts of kindness. David, I feel blessed to have had the opportunity to work with you in the Intensive in Menlo Park last August. Thank you for your humor, compassion and wisdom. You opened my eyes to the possibilities for a grounded, trusting six. “Well done good and faithful servant.” Wait a minute, that’s the wrong tradition, but it couldn’t be more true. David, you’ve been a wonderful colleague and teacher. You’ve embodied the best of the Enneagram tradition. Thanks for that. Like so many others, I feel blessed to have had the remarkable opportunity to have studied the Enneagram with you. Thank you for so generously sharing your incredible wisdom and knowledge with such passion, kindness, and humor. I wish you the best of health as you continue to support us on our journey to better understand ourselves and others through the Enneagram. Finally, I believe that the “The New Essential Enneagram” truly is “the most definitive personality test” available! To enlighten humans through teaching them about curiosity and compassion sets about a wave of light and love that can only enhance the human experience and create better humans. You have done that and those you’ve touched are better people for your light. As we move forward we each add our own light to yours and help to create what you’ve expressed as your hope; to make the world a better place. It was watching you teach “the Enneagram” to a group of high-powered CEOs, alongside Frank Lee, that was the beginning of what changed the trajectory of my relationship to myself, and to my life. Taking copious notes, you spoke to those 12 attending men about many things that day but importantly, you spoke about compassion and how it’s gained by studying this system, for both self and other, with tears in your eyes. The room was still, everyone was incredibly present and undisputedly moved; I knew then, without a doubt, the immense contribution your work was having on those lucky enough to have been gifted it. Thank you for your miles of courage and mountains of conviction; all of which led you to starting the Narrative Tradition school with Helen Palmer to the very powerful endorsement your wisdom, position in the psychiatric community, and your role at Stanford University provided “the Enneagram” across its paradigm-shifting, developmental years. Thank you for making something available to me and to so many, who may have never gone “looking for it to transform our lives,” but who found it because of you and your tireless, passionate devotion and efforts. Your passion, knowledge, dedication, and clear articulation of the Enneagram’s value in becoming whole and loving persons has been an inspiration to so many, and has certainly spilled over into my own life. Thank you for your recent support of my endeavors to bring the wisdom of the Enneagram to my faith community! Your belief in my message and your endorsement of my book have been such a lift. Blessings to you and your family in this time of rest and renewal. You were such a kindly, wise, and wonderful mentor. Sadly a continent away so I am not able to say this face to face. Thank you so much. What a wise decision to step back a little. Now if I can give you inspiration, I just returned from a walking holiday in Amalfi, Italy. With us was a post double bypass retired Vicar, 83, climbing the hills and steps with enthusiasm and such courage. So I wish you equal good health in your retirement (though it’s hard to picture that) and joyous times with your family, walking the paths you choose. Dear David, many thanks for all the wonderful teachings you gifted to us over the both in Europe and US over the years. You have been an inspiration to me and to countless others for which we are most grateful. Wishing you many more years of life and happiness. We are so grateful for all you taught us and did for us, both when we were visiting the USA and when you came here to the UK – your Enneagram teaching, of course, but also your gentle, loving way of being. We echo Kathy Tamm’s words when she says she’s glad you are honouring your body and taking time for yourself. This is a good example to us, too, when the time comes. Enjoy your new Emeritus status and we look forward to continuing to benefit from your wisdom as and when you share it. Since the very first time I saw you in USA, you have been in my heart. Your spirit, knowledge, heart and presence is beyond Words. Take care – as we both know…life is fragile! I was going through a very rough time when I heard your early Enneagram talks about each type on the radio. It suddenly dawned on me what was happening between my second son and myself. The relationship has since improved a lot and through it all I realised that I had to have a meditation practice. I have loved your work and I am looking forward to hearing you on the Enneagram Global Summit. Although we have only met a couple of times at various Enneagram events, I will always be deeply grateful for the experience, wisdom and passion that you bring to the Enneagram community. Oh, and not forgetting your great sense of humour! Your sensitivity and compassion is always evident in all your teaching and encounters with people. Like it or not, you are an elder statesman in the Enneagram community and our respect for you is well-deserved. I am so glad that you are not disappearing altogether and that your new status as Emeritus will mean that we can continue to profit from the wealth of experience that you bring. Go well! When I found the enneagram almost two years ago I was undecided about the attending the six day residential intensive at Montreat or participating in an online course for six months. You got back to me via eMail within hours and invited me to experience community living in the beautiful autumn hills of N.C. where your warmth, acceptance and nurturing attention transformed us one by one. Again and again you made a difference. We fell in love with ourselves, with you and with each other. Thank you for inviting us all along on your enfoldment into mastery. We couldn’t help cracking open in your skillful hands. David…..literally, words cannot express my thankfulness to you over the years. That time in the Twin Cities (relationship workshop) when you helped me see my interactions with my wife Diane more clearly with such gentleness, your wise counsel during my two-year certification,…I could go on and on. But the truth is this: you are a true teacher in the finest sense of the word. I honor and respect you and, yes, I love you dearly. Warmest wishes on your continuing journey. Thank you for your faithful and abiding work to help the Enneagram be accessible and useable to the world!! I want you to know that, as I sit at my desk reading your announcement letter, THE ESSENTIAL ENNEAGRAM lies open to my right, me having just gotten off a Skype coaching session with a new client. Your book is ESSENTIAL for my work, the only reference I know which so clearly and succinctly that identifies the Type’s blindspots, beliefs and coping strategies – the keys to transformation. I too am grateful to you for all I learned in the Narrative Tradition training certification program and the community that formed from this. I hope you and Judy are enjoying your precious lives together. Thank you so much for your lifetime of contribution. Your wisdom, patience, and love have pervaded all of your teaching, and your creative abilities have helped to bring the Enneagram into the lives of so many others, thus, making their lives more fulfilled. I hold you and Judy in my heart as you continue to open to life in all of its forms and challenges. You are a role model in all things. As your life pace slows, may your heart receive all the love and appreciation that will be and is being offered and, in a way, is returning to you. Yours is a generous spirit, David! Each month when I facilitate panels, you are with me and your voice comes forward in my questions. I am so grateful for the time we had at the Montreat trainings, those times when I soaked in your wisdom and wit. Your kindness has touched my heart in ways that allow me to open more. Thank you. So often, I echo your phrase, “An open heart requires a grounded presence.” Each time, I smile and give thanks for your open heart and grounded presence. Thank you for the steadiness you have offered to the Narrative Tradition organization and to those of us who continue the tradition. Much love, much gratefulness to you as your journey continues. Ahhh, David … What words of praise can I summon up that have not already been heaped upon you? Your enduring and loving kindness has buoyed and supported me, and my life was and is completely altered because of you and Helen and the work you have devoted yourselves to. May you rest gently in the love of all of us. Emeritus is cool. Get to choose the bits most worthy of your energy, love, and time, while leaving the rest for others. And for us it means you’re still around and involved. Yay! I wish to add my thanks to all the others: Gratitude for how you’ve helped me learn and use this wonderful system. For the insights into psyche, relationships, and life. For embodying the wise, caring side of psychology. For supporting Thai friends who are still going strong with their inflections of this work. For the warm smiles. May health be good enough to dance a few more rounds. You are my beloved teacher, and always will be. The Enneagram is central to my understanding of who I am and how I see the world. You and Helen gave me that gift. Your words and insights are with me every time I teach or share about the Enneagram. Boundless thanks and best wishes to you in your new emeritus role! Goodness, David, these outpourings of gratitude are becoming endless…as well they should be! My own personal gratitude for you includes your ferreting out this “closet Eight” among a Point Group of Type Ones in 1996 and our frequent collaboration over the years since then in bringing the Enneagram to Arizona. The workshops that you presented here on relationships have affected so many for the better. The professional training workshops you presented here with Peter O’Hanrahan, Terry Saracino and Marion Gilbert have contributed so much to developing a community of skilled professional teachers, coaches, and counselors who continue to pass on this good work. Along with the extraordinary spiritual freedom work that Helen has brought to our community, we are blessed in abundance. We so appreciate your skills, love, goodness and generosity of being and wish you joy in your freedom as an emeritus. At your feet, I have studied the art of holding another human being’s heart whilst giving them the tools to stay in contact with it themselves. For your teaching and mastery, everyone in our Enneagram community has benefited more than we can measure. In particular, I am so grateful for your solid stance of support for Enneagram Prison Project since its inception. You came into jail with me and said: “Well, they look completely normal to me.” and with a shrug, loved them as you do anyone in front of you. I adored you that day. You are father to so many, but it is the childlike, playful, curiosity you demonstrate facilitating a panel for which I will forever remember you. Thank you for your care, your great vision and your steadfast ways. Although I have never met you in person David (I am a student of Russ Hudson), I have been greatly touched by your work and I am very grateful for the combination of your genius and generous heart. Wishing you peace and love and lots more fun. Thank you David for bringing us into Presence where we can be held and supported with a knowing that everything is OK. Thanks also for your lightness of being – you can be so much fun to be with. Thank you also for bringing Judy on your travels – she too brought her own light into the rooms and places you visited. Dearest David, your unconditional love and support has touched people from many places in the world, including MInnesota. Your work with Helen, Terry, Peter and Marion has opened the inner doorways that may have locked many out from their own gifts and beauty in the world. From the beginning, I saw your courageous humility in being among so many different people in their efforts to develop into their authentic selves. Your knowledge and gentle power didn’t get in the way of the love you showed to each person you encountered. We were so gifted to have you come to northern MN several times. It’s been a joy to see your love for Judy and your family and team. Your friendship has freed many of us to love more courageously. As you choose where to put your energy in these next years, know and feel that love surrounding and supporting you in turn. I thank you with a full heart. Thank you, David. I’m so glad I had several opportunities to hear you teach, in Phoenix. You seem to me to be doing Bodhisattva work, being of great benefit to so many human beings. Blessings. I recall the first time I attended one of your workshops in Phoenix, it was in 2004 and the topic was Anger & Forgiveness, it was then I first learned that in order for me to move in the direction I desired, the first work of forgiveness was with myself. Your compassion, kindness, presence and encouragement touched me deeply and brought about a great sense of healing for me. Over the years I have not missed an opportunity to participate in your workshops when you have come to Phoenix, accompanied many times by your lovely wife, who has also been a source of great blessing to myself and the community here. May you well, may you be happy. Thank you for the continued blessings of you and your work, I am so grateful, always. David, speaking of open hearts, yours is the model to which I aspire. YOU teach me through example how to love – and how mature, balanced love heals, brings forgiveness, deep meaning and clarity to this life. Blessings on you dear teacher, colleague and I’m honored to say – friend. Sending love to you and to Judy. I’m so glad you are taking on the Emeritus status, which hopefully will allow you to take care of your body while at the same time continuing to contribute your research, experiences, & immeasurable knowledge of the Enneagram. Your words & kindnesses to me, especially in my training, have stayed with me over the years, & your insights into the Enneagram & Relationships continue to be priceless in my life & teaching. Thank you for being YOU! I have had the good fortune of studying with you at both Phoenix and IEA conferences. Your gentle Presence and palpable positive intention infuse your teaching with authentic humanity and goodwill. You have been an inspiration to this beautiful work and to aspirants who wish to carry it forward. Wishing you blessings too numerous to count in your emeritus status.